The Committee was very keen to experiment with a musical and hoped to perform Fiddler on the Roof, but a professional tour meant it was not available until August. 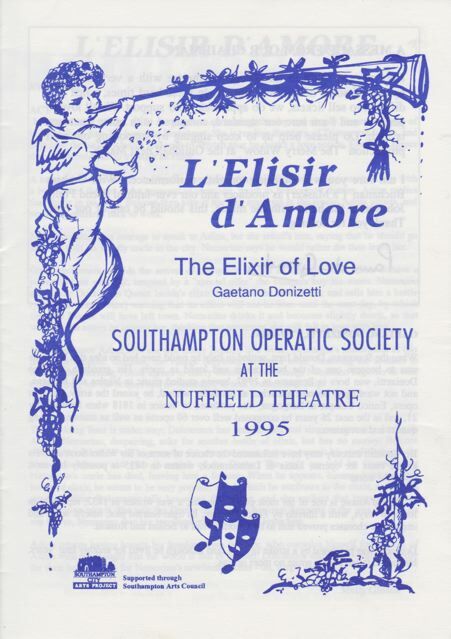 With the Nuffield pressing for confirmation of the booking, ticket prices and a show to advertise, it was hurriedly decided to put on L’Elisir d’Amore, which had been a thoroughly enjoyable production six years previously. Finding a director was not as easy as anticipated and eight people were approached before it was thought to go to the Maskers again and involve Graham Buchanan. A mere five MDs were considered and the always-reliable Philip Johnson was eventually invited. The business team, led by Margaret Amey, numbered nine and this was only one less than appeared in the rather sparse men’s chorus – seventeen ladies completed the villagers and they joined the five main principals, Lorraine Morgan (Gianetta), Janet Green (Adina), Richard Wilkin (Nemorino), Tony Austin (Sergeant Belcore) and David Jupp (Dr Dulcamara). 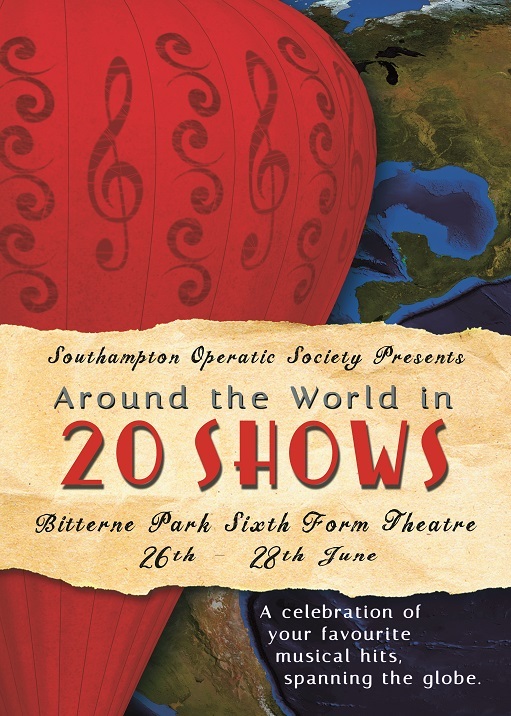 This time, however, there was no village band, no dancers, no village children and, most notably, no train - perhaps the production lacked that extra ‘stage business’? Graham was keen to enthuse and educate children on the finer points of opera and a room was booked at the Nuffield before the Friday performance, where a small group was told about SOS, various aspects of putting on a show and given certificates of attendance – they were then looked after as they watched the performance. Martin Paterson had advertised the session whilst touring schools with LOpSoc. With two weeks to go, only 128 tickets had been sold for the whole run and a financial disaster was looming. Alan Morgan arranged with the theatre for all seats sold to members and friends to cost just £5 and 30 were reserved for the Junior Section free of charge. Meanwhile, Margaret had persuaded Exxon to sponsor the education session for £800. Only at the last minute had volunteers been found to organise the costumes and arrange the lighting but nobody came forward to take on the props, so members of the company were made responsible to find heir own. Ticket sales did pick up in the last two weeks but not enough to prevent a significant loss of £3352.